Though March 30, 1867 marks the day of the US Secretary of State William Seward’s monumental purchase of the land that would become Alaska from Russia, this date would also go down in culinary history as the event that brought about what is perhaps one of America’s most classic desserts: the Baked Alaska. Inspired by the ridicule Seward was drawing from people who criticized his acquisition of what was essentially an arctic tundra, pastry chef Charles Ranhofer created a dessert he called “Alaska, Florida” at Delmonico’s restaurant in New York City. This concoction consisted of a walnut spice cake base that was topped with banana ice cream before being coated in meringue and blowtorched until crispy. Ranhofer’s dessert was an instant hit, largely due to the fact that its hefty price tag and exotic ingredients marked it as a treat for the upper crust. 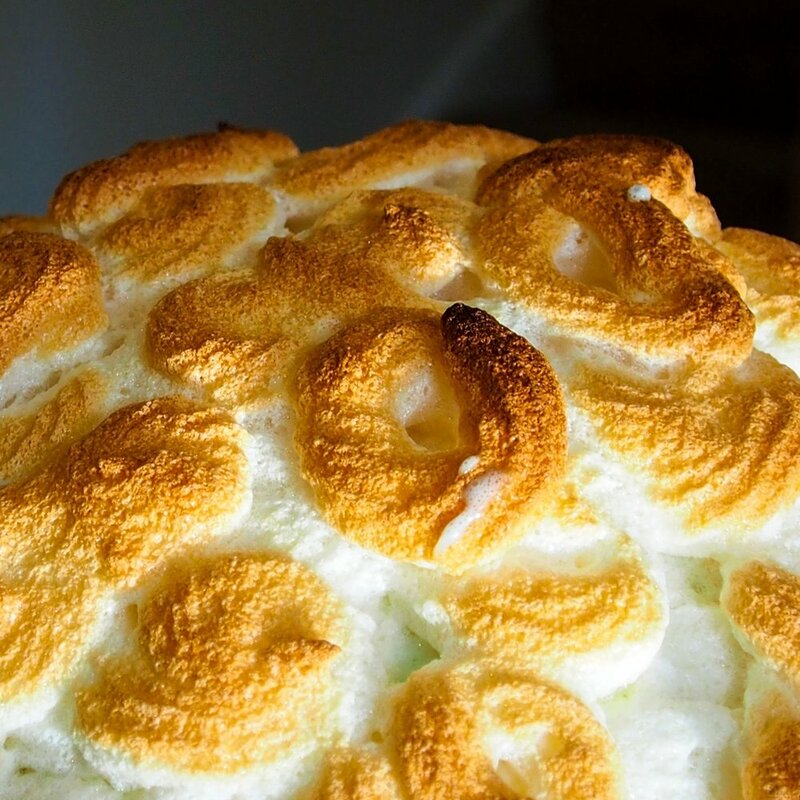 Today, Baked Alaska is made with all sorts of different cake and ice cream combinations, but they all have in common the iconic dome of golden brown meringue. The key secret to Baked Alaska’s structural success is actually the air bubbles present in whipped egg whites, which are excellent at insulating the ice cream from the high temperatures of the blowtorch or oven. Though preparing a Baked Alaska does require some preparation in advance (and admittedly a little troubleshooting), this dessert is surprisingly doable and a unique retro spin on a typical ice cream cake. 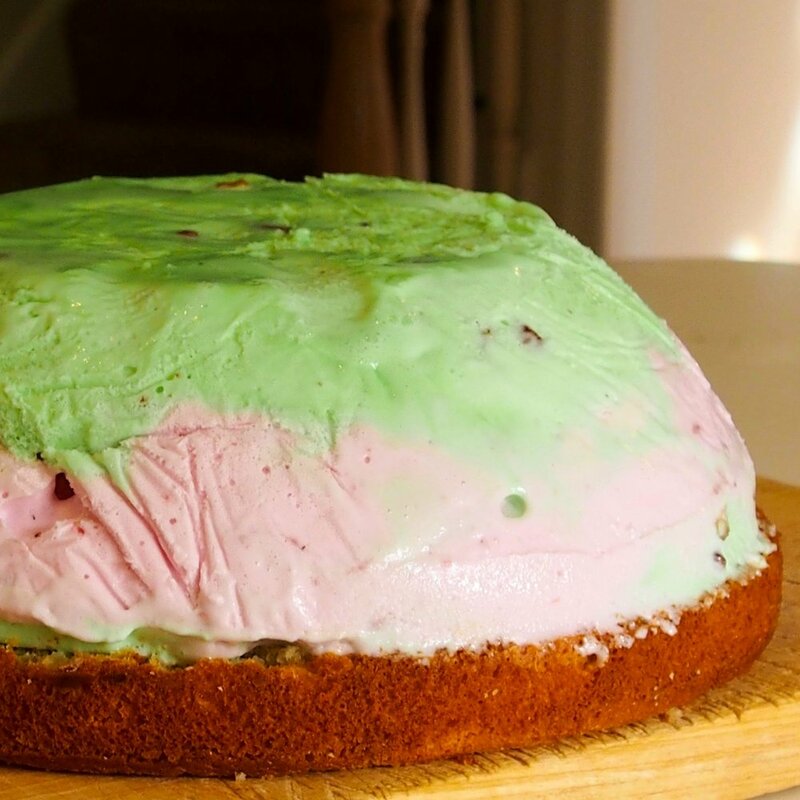 The combination of the pistachio and strawberry ice cream with the soft vanilla cake and crunchy, marshmallowy meringue is just as impressive in the 21st century as it was in the 19th. The night before you plan on serving the Alaska, line a medium-sized bowl with plastic cling wrap. Make sure your ice cream is soft enough before filling the bowl with it (you can stick to one flavor or layer multiple flavors for an eye-catching effect). Smooth down the top and leave in the freezer overnight. The next day, grease a 9-inch round cake pan and prepare the boxed cake mix according to the instructions. 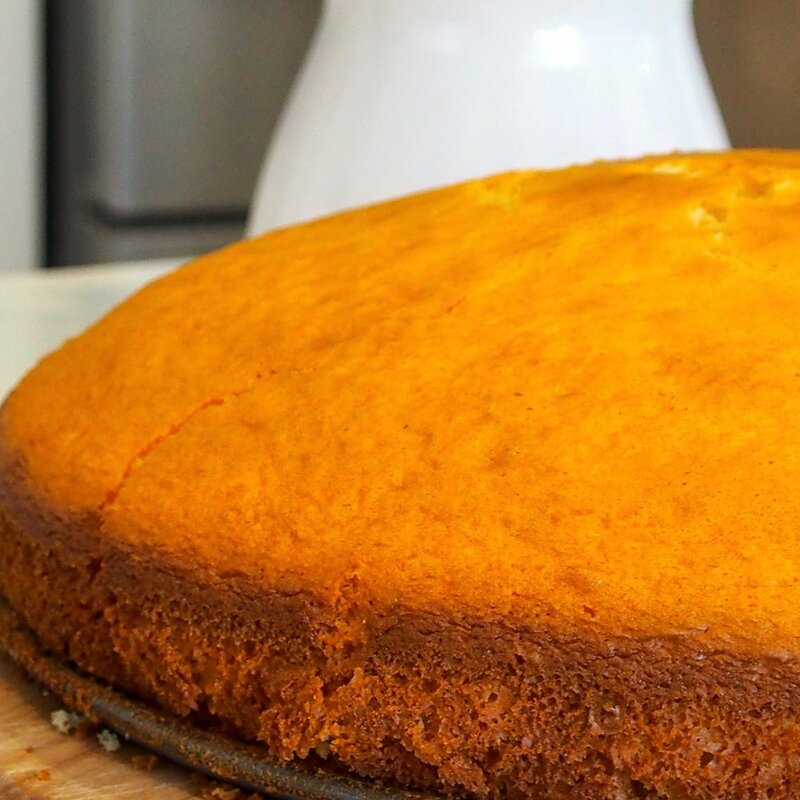 Once cooled, use a serrated knife to level the top of the cake. Set aside. Prepare the meringue. Separate the whites from 8 large eggs and whisk with the sugar and cream of tartar in a large bowl until stiff peaks have formed (2-5 minutes). Remove the ice cream dome from the bowl, then invert onto the cooled layer of cake. Remove the rest of the plastic wrap. Using a piping bag or spatula, cover the ice cream completely with the meringue. Preheat oven to 425 degrees and bake the cake until the meringue is golden (about 4 minutes). However, I learned the hard way this method makes the dessert more prone to some preliminary melting: if you have one, try using a blowtorch instead to brown the meringue for a neater final product.